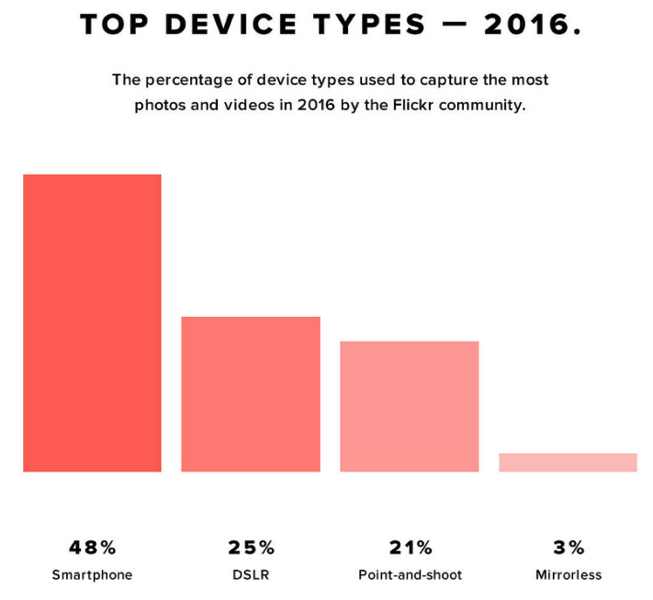 Flickr has shared data on its most popular devices used for uploads in 2016, and Apple’s iPhones account for 8 of the top ten devices, with the iPhone 6, 5s and 6s taking the top three positions. The Flickr community saw smartphones account for 48% of uploads, a jump of 9% year-over-year, while dSLR uploads declined 6% compared to last year, down to 25%. Point and shoot uploads also fell, seeing a 4% decline to 21% compared to 2015. Smartphones and mobile uploads are the future. Overall, Apple was the dominant brand with 47% of all Flickr users uploading images via an iOS device. The second largest brand was Canon, with its users taking 24% of the overall community. The only non-Apple cameras to get into the top ten were Canon’s 5D Mark III and 5D Mark II digital SLRs. 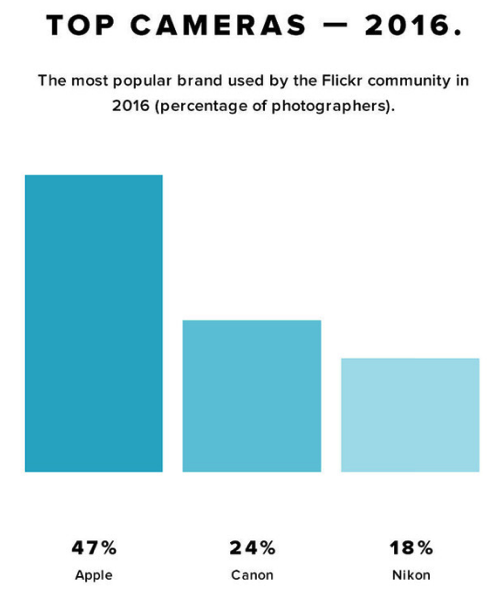 Third position was Nikon, with its users at 18% of Flickr users. Earlier this week, Apple for the first time shared pro tips on how to use Portrait mode in iPhone 7 Plus, detailing images and techniques from pro photographers. Last year, Apple’s iPhone took 7 of the top ten spots on Flickr for top cameras. This year, it looks like Canon’s EOS Rebel T3i was bumped out of the top ten by Apple. Anyone you using Flickr as the place to upload your photos from iPhone?